Mother's Day is round the corner hmm... what am i going to get for my mummy this year? crack my head. I was quite tempted to get the the Pandora Mother & Daughter charm. How about you? have you decide what to buy for mummy? You can surprise your mother with the perfect gift for this Mother’s Day with Pandora. The Pandora Mother’s Day 2013 Collection focuses on sophisticated femininity and playful glamour, and the hand-finished jewellery once again highlights Pandora’s commitment to offer all women timeless design from precious metals and gemstones. 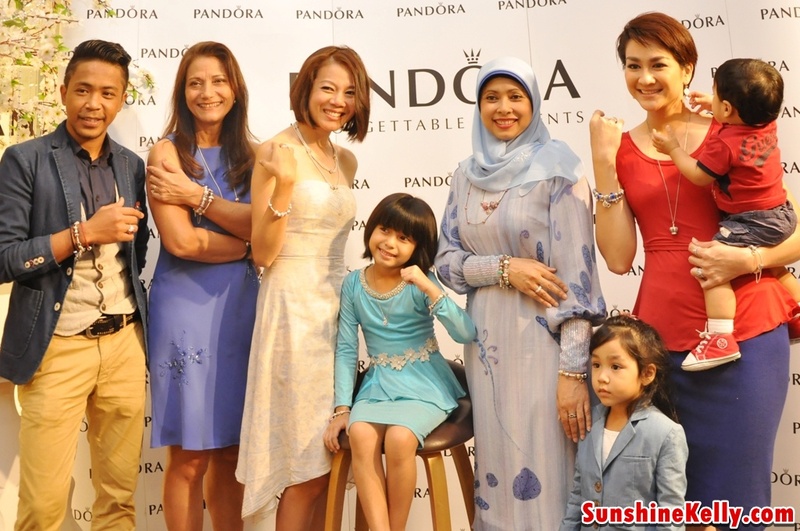 The Mother’s Day 2013 collection was revealed at PANDORA Bangsar Village II boutique by Datin Zarida Noordin, Managing Directir of Pandora Malaysia. Actress such as Dynas Mokhtar, Mia Sara Nasuha, Low Ngai Yuen, singer Hazama and Datuk Yasmin Yusuff were among the celebrities that helped to showcase the collection. 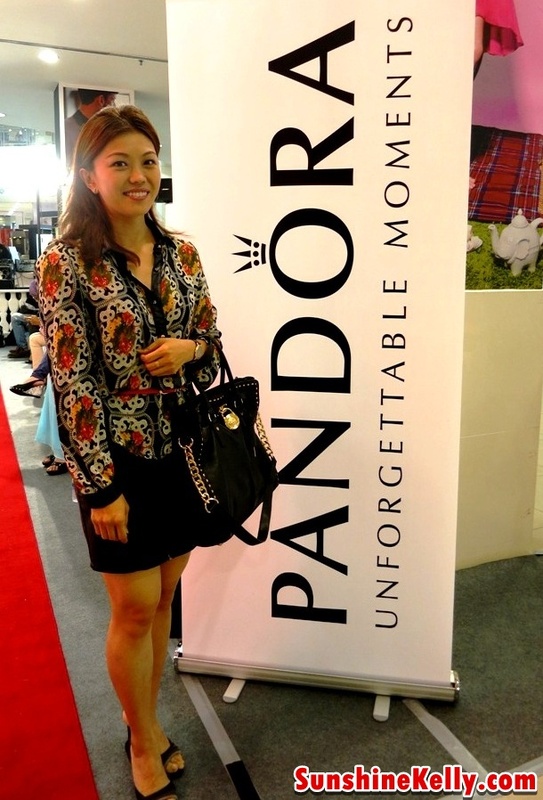 Datin Zarida Noordin, Managing Director of Pandora Malaysia said, “All women have their own stories that are worth being proud of, different personalities that they want to celebrate and moments that have made a difference in their life. Pandora gives individuals a unique opportunity for personal story telling through distinctive pieces of jewellery”. Pandora Mother’s Day charm for 2013: Pandora Bear My Heart, Mother & Son, Mother & Daughter, Love, iconic charm has the word Mum / Mom / Maman engraved. Dangling silver Grandmother charm, complete with cubic zirconia flower detail for grandma and teddy bear charms would make a charming gift for any new mums or mums-to-be. The new collection includes a Teddy Bear Pink Bow charm, a Teddy Bear Blue Bow charm and even a limited edition silver Teddy with 14k Gold Heart for that extra something special. Hand-finished from sterling silver and punctuated by a solitary, sparkling salmon pink cubic zirconia, Pandora's Faith, Hope & Love pendant is a contemporary interpretation of an ancient symbol. Create a new and feminine look with Pandora’s universe of affordable luxury, where endless combinations connect to create a truly personal style for any and every occasion. The prices ranging from RM100 onwards. To own your very own Pandora piece today, visit any one of other Pandora’s boutiques at Bangsar Village II, Alamnada Putrajaya, Kuala Lumpur International Airport, Empire Shopping Gallery, Subang, 1 Mont’ Kiara, Mid Valley Megamall, Tropicana City Mall, Gurney Plaza, Penang, Setia City Mall, Shah Alam, the Paradigm Mall, Kelana Jaya and boutique kiosks at Pavilion Kuala Lumpur, Suria KLCC, Tangs 1 Utama and Pandora jewellery counters at the Ampang Point Habib showroom. 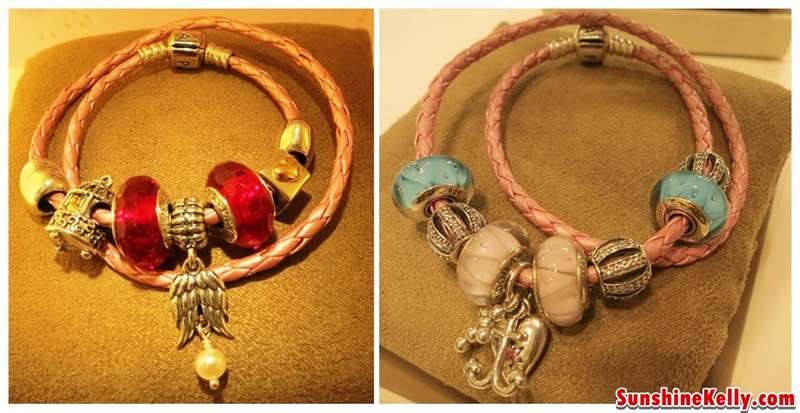 Pandora’s East Malaysia boutiques are located at the Spring Shopping Center, Sarawak and Suria. For more information on Pandora’s latest collections and promotions, visit www.pandora.net or join as a fan on Facebook page ‘Unforgettable Moments – Malaysia’.